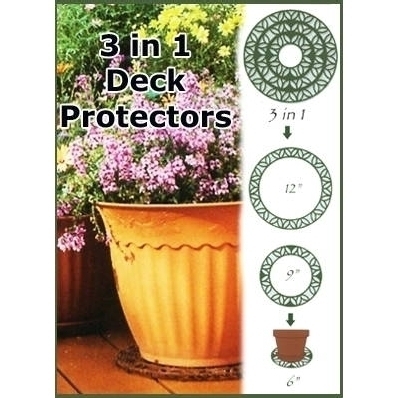 Pot Rings that protect your deck, floors, and other surfaces from stains, mold and mildew. 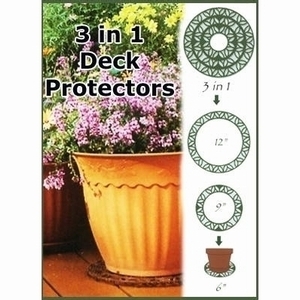 They elevate your pottery 1/2" off all surfaces allowing airflow and eliminating trapped moisture. These rings are UV treated so the color won't fade giving your home years of enhancement and protection. Pot Rings extend beyond the base of your flower pots, adding style and true beauty. Made of polypropylene with UV inhibitors.